A relatively unknown player, Woodfibre LNG Export Pte Ltd - incorporated in Singapore by Indonesian tycoon Sukanto Tanato - has received the greenlight to export liquefied natural gas (LNG) from Canada's West Coast to markets in Asia. It is among the latest batch of four international groups granted 25-year LNG export permits by Canada's National Energy Board a fortnight ago. 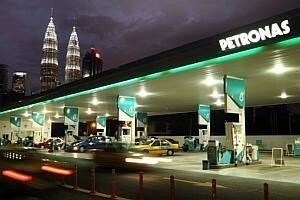 The others are Malaysia's Petronas, which got the nod for exports from its Pacific Northwest LNG project, BG Group (the current LNG aggregator/buyer for Singapore) for its Prince Rupert LNG project, and ExxonMobil and Imperial Oil for their WCC LNG project. The authorisations pave the way for commercial decisions on their gas plants and will enable them to export a total of 13 billion cubic feet of gas daily. This comes amid an abundance of gas supplies in Canada and the United States from shale gas, with the surplus Canadian gas needing to find overseas export markets. To date, however, none of the half a dozen or so planned LNG export projects there have been built and the federal government still needs to sign off on the latest batch of export authorisations. Woodfibre LNG Export's incorporation here comes as more international LNG producers and traders set up shop in Singapore to capitalise on the growing Asian gas trade. The Republic, which just started up its multibillion-dollar Singapore LNG receiving terminal on Jurong Island last May, intends to grow into a regional LNG hub. A check with the companies' registry showed that Woodfibre, established last July, counts among its directors Ratnesh Bedi, president of Pacific Oil & Gas, the energy arm of the RGE group, and George Dantas, group head, Tax & Accounting, at RGE. And behind RGE - a global resources-based manufacturing group with more than US$15 billion of assets and offices in Singapore, Jakarta, Hong Kong, Beijing and Nanjing - is Mr Tanato, its founder and chairman. In its application filed with the Canadian authorities, Woodfibre said the target markets for exports from its planned LNG facility near Squamish, British Columbia, include Pacific Rim markets, such as Japan, South Korea and China. The project will consist of a gas liquefaction plant and associated infrastructure and port facilities. Woodfibre is part of the Pacific Oil & Gas group, which is mainly involved in oil and gas exploration and production in Indonesia and also owns power generation plants in China. Pacific Oil & Gas also owns a 35 per cent stake in Jiangsu Rudong LNG receiving terminal in China and is one of only two foreign-owned companies permitted by China to invest in such terminals there. Singapore's Temasek Holdings had also invested in US LNG player Cheniere Energy as well as Cheniere's export terminal at Sabine Pass (although it reportedly has sold off its Cheniere Energy stake), but subsequently decided to go big and invest directly in the LNG industry - from upstream projects to downstream storage and regasification terminals - when it set up Pavilion Energy last April. Its biggest deal so far involves the purchase of an upstream LNG asset, when it paid US$1.288 billion for a 20 per cent stake in offshore LNG exploration concessions in Tanzania last November.